The Purpose of FuneralsWhen we experience the death of someone we love, a funeral service fills several important needs. Funerals helps us acknowledge that someone we love has died. Funerals allow us to say goodbye. Funerals offer continuity and hope for the living. Funerals provide a support system for us, friends, family members and the community. Funerals allow us to reflect on the meaning of life and death. 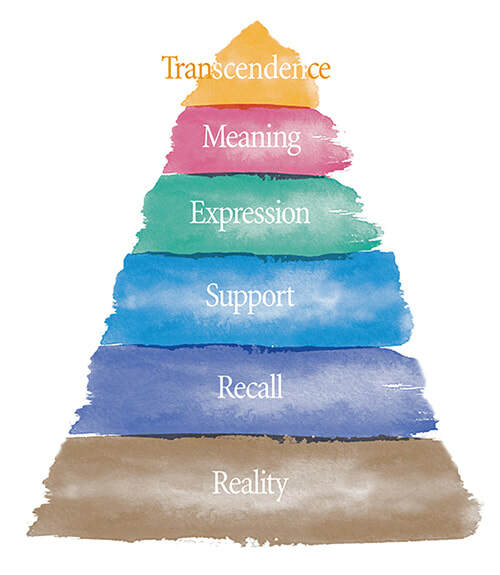 ​Hierarchy of the Purpose of FuneralsFunerals have been with us since the beginning of human history because they help us move from life before death to life after death. Review the titles below to learn more about how funerals help begin the healing process. Ultimately, funerals help us embrace the wonder of life and death. Funerals mark the significance of the life that was lived. They also help us find meaning and purpose in our continued living, even in the face of loss. Funerals allow us to express our inner thoughts and feelings about the life and the death. Funerals bring together people who care about each other in an atmosphere of love and support. Funerals encourage us to remember the person who died and share our unique memories with others, creating hope for the future. Funerals help us begin to truly acknowledge the reality that someone in our life has died. Source: Dr. Alan Wolfelt, C.T. A funeral service pays special tribute to the person’s life. Among its purposes, it helps us acknowledge the death, remember the life and activate support during this naturally difficult time. The funeral service helps survivors face the reality of death, which is the first big step toward taking grief from the inside and allowing us to express it on the outside through mourning. For thousands of years, funerals have been a means of expressing our beliefs, thoughts and feelings. It helps us acknowledge that someone we love has died and allows us to say goodbye.